The use of the CRITIS 2016’ website implies full acceptance of the following terms and conditions. 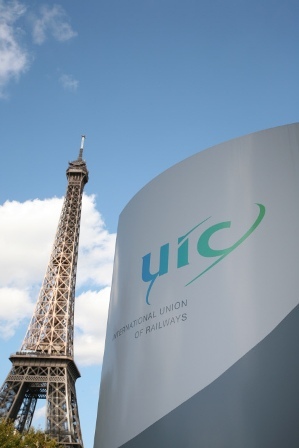 All trademarks and logos displayed on the website www.critis2016.org are the property of the UIC and protected by the intellectual property laws applied in France. They may not be used or copied in any way without prior and express permission from the UIC, which reserves the right to prosecute any act infringing its intellectual property rights. The CRITIS 2016 provides links to third-party and external websites, for which it disclaims any responsibility. The insertion of these links does not in any way imply the approval of or an existing partnership with any of these sites. In no event shall the CRITIS 2016 be held liable for the referencing of these sites on its website. The insertion, on external sites, of hyper links to the CRITIS 2016’ website is subject to prior and express permission from the CRITIS 2016. It is the responsibility of all Internet users consulting the CRITIS 2016’ website to avoid infecting the site with viruses of any description. The CRITIS 2016 assumes no liability for any direct or indirect damages arising from access to or use of the site www.critis2016.org or the information contained on it. Personal information obtained via the discussion forum on the CRITIS 2016’ website may not be used for purposes other than to contribute to the proposed discussion topics. The CRITIS 2016’ website has been created and edited in compliance with the laws applied in France. In accessing this website, Internet users resident outside France shall ensure that they are in compliance with the locally-applicable legislation relating to the use and content of this website. The CRITIS 2016 assumes no liability whatsoever for any direct or indirect damages arising from the use, access or inability to access the CRITIS 2016’ website. Neither shall the CRITIS 2016 be held liable for the risks related to the completeness, accuracy, suitability or topicality of the information. The site www.critis2016.org is hosted on the UIC’ server hardware. The IMPROVER H2020 project (Improved risk evaluation and implementation of resilience concepts to Critical Infrastructure) organises annual workshops with associated partners such as CI operators, emergency services, etc. to obtain their feedback on the progress of the project and validate results. After the first year, results from the project suggest that public expectations for continued service during and after disasters are high, and that there is an expectation gap in terms of the services CI operators should provide in the aftermath of a disaster. This workshop ("Meeting public expectations in response to crises") aims to discuss how infrastructure operators meet these requirements today and how this can be improved. The program will begin with a short introduction to the project and then detail our findings with regards to the tolerance of the public to service disruption. We will then present some scenarios which could affect critical infrastructure services before discussing with the operators about public expectations and crisis management. The workshop is intended for the IMPROVER associate partners to discuss the public expectations of critical infrastructure in times of crises; however we would welcome and encourage all who are interested to attend, including infrastructure owners and operators; emergency response agencies and national emergency management authorities; as well as researchers. The workshop will be interactive and breakout groups will focus on individual infrastructure sectors including water, transportation and energy. This will be a one and a half day private event reserved to the CIPRNet Consortium members. Why Sponsor and Exhibit at CRITIS 2016? A limited number of opportunities are available for organisations and companies that wish to exhibit at this conference. As a Sponsor or Exhibitor you will be able to present your products and services in the Exhibition Area, which will be located in the heart of CRITIS 2016 event. Conference attendees will have full and frequent access to the Exhibition Area, which will be open continuously during all three days of the conference. The Exhibition Area will be located on UIC ground floor and may include maximum 8 to 10 stands. This area will also be the location for coffee and lunch breaks, so that the Sponsors and Exhibitors will get most of the attention value. This will be a unique occasion of networking and exchanges. If you are interested in sponsoring CRITIS 2016 or reserving an Exhibition Package, please contact us. List under continuous update! Names are added as members give their consent. We encourage you to book your room in one of the following hotels which are not far away from the Conference venue. Some of these hotels propose reduced fares if you attend a meeting at UIC. When you book your room do not forget to mention the name of UIC. The presentation template for CRITIS 2016 is now available. Speakers are requested to prepare their presentations using this standard template. Please download the template and follow the instructions provided inside the file. CRITIS 2016 seeks to promote innovative research and key achievements in the field of critical (information) infrastructures protection (C(I)IP) and to foster the cross-sector dialogue between relevant stakeholders. In addition, CRITIS 2016 aims to encourage and inspire early stage researchers researchers demonstrating outstanding research performance. In 2013, the CRITIS series of conferences has started to foster contributions from young experts and researchers (“Young CRITIS”), and this has been reinforced by the CIPRNet Young CRITIS Award (CYCA) in 2014 and 2015. We will continue this process at CRITIS 2016, since our demanding multi-disciplinary field of research requires open-minded talents. CRITIS 2016 covers five thematic foci. Paper submissions should focus on one of the following topics. Note: If you wish to look up definitions for the keywords used in the CfP, then please resort to CIPRNet’s new online glossary CIPedia©. Topics of interest include all topics mentioned under topic categories 1 and 4. We encourage submissions containing original ideas that are relevant to the scope of CRITIS 2016. Researchers are solicited to contribute to the conference by submitting research papers, work-in-progress reports, R&D project results, surveying works and industrial experiences describing significant advances in C(I)IP. Stakeholders from governments, Critical Infrastructure operators, and industry are encouraged to submit papers which describe their current and future challenges to be engaged by researchers and multidisciplinary research teams. Paper submission will be done via this link to EasyChair. The submitted paper (in PDF or PostScript format) must be formatted using the template offered by Springer LNCS and be compliant with Springer’s guidelines for authors. For publication in the CRITIS 2016 proceedings, all accepted papers (full and short) must be presented at the conference; at least one author of each accepted paper must register to the conference by the early date indicated by the organizers. 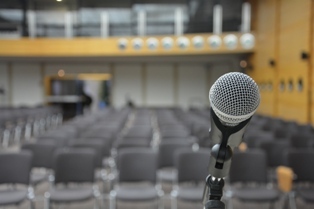 The conference pre-proceedings will appear at the time of the conference. All accepted papers will be included in full length in the pre-proceedings.